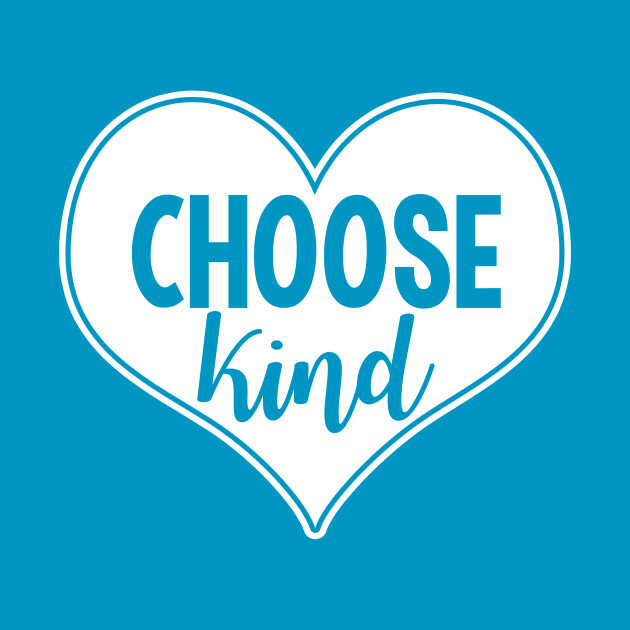 "When given the choice between being right or being kind, choose kind" - I read this in R.J Palacio's brilliant book, 'Wonder'. While I'll review the book later, today I want to talk about kindness. When I read this quote, I thought how can one be right or kind? Why can't it be right and kind? Then I realized that only in some cases the 'and' can be applied. What exactly is kindness? How does one apply it? Is being nice the same as being kind? Is it something that requires a forced effort? Is it something that is expected to make you feel good? Does it come out of pity or genuineness? All these questions plagued my mind. But soon I had the answer to it too. Being kind is a simple act of doing something good for someone else. What the recipient or the crowd feels, is secondary. Kindness should be like an inbuilt reflex in us humans, sadly it is not. Honestly, I wouldn't say that I am the kindest person on the planet. I'm very very far away from that. Being blunt and being kind somehow don't go well together. But you know what? Slowly, I'm learning how to be more kind. To others and to myself. I grew up in a not so good environment, where I was mocked for being poor, for my skin color and almost everything that one can think of. The almost immediate reflex that I always have is that of defense. Every thing else came second. But now, I'm understanding kindness and how easy it is to be kind. I don't forgive or forget easily, but now I have learnt to forgive to a certain extent. Forget, well we'll see about that later. Earlier as I met people or scrolled down feed on social media, I just looked at stuff and let be. But now, I take out a couple of minutes of my time to genuinely appreciate someone or something. Today, I compliment people more and do think twice before saying something not so pleasant. Forgetting the old grudge or how someone wronged me in the past, I've learnt to appreciate the newer things. It maybe a blog post of theirs or an image. I do not think twice before going ahead and leaving a positive comment. If I meet them in person, I have learnt to smile brighter and appreciate the smaller and recent things about them. I don't know if this is called being kind, but I do feel good about it. Why am I talking about this all of a sudden? I have never been the one with profound thoughts or the one to get philosophical. Then why? Well, I'll tell you about the three incidents that changed me in the last two weeks and made me take a closer look at kindness. Reading 'Wonder' would be the fourth one. A few days ago, as I was headed home from work, I was stuck at a small traffic jam at a junction near home. I stay 2 kms away from work, but I have to pass some major IT companies and other office areas on my way. Thanks to this, there is some traffic at almost every hour. As I sat in my regular auto and waited for the jam to be cleared, I saw a man holding a whistle and trying to control the flow of traffic. No, he was not a traffic policeman. He was wearing the uniform of a security guard. He must have been a part of one of the offices around. But today, he was standing in the middle of the junction and trying his best to help the traffic move. He must be a young chap of under 30 years and he clearly was struggling at what he was trying to do. Many vehicles got past him even when he was asking them to stop. Some riders/drivers yelled at him and asked him to move. One biker almost threatened to run him down and laughed at him. Still, the guy held on. Slowly, he managed to clear the traffic single-handedly. As I passed by him, I yelled a "Thank you, Sir" at him and he smiled back with a thumbs-up. I don't know why, but that incident hasn't left my mind till date. There is a American corn counter at the cafeteria of my workplace where the man behind it makes some delicious corn salads. I buy from him on a regular basis and do engage in small talk once in a while. On January 2nd, as I bought a salad from him, I wished him a very happy new year. He smiled and wished me back. As I was about to leave he says that its been two days since the new year that he's at work and I was the first one to wish him. It just broke my heart. People normally just place their order, pay him and walk away with it. How long would it take to wish someone? They don't have to do it everyday, but on one special day, how tough would it be? All I had to do was to say "Happy New Year" and he felt so good about it. Imagine how nice he would have felt had everyone who came to his counter wished him. Is it a matter of status levels or just ignorance in general, I don't understand. At my apartment, we have a rule of waste segregation. Every house is expected to separate the wet and dry waste in two bins and everyday the security guard comes to every floor with the main big bins and we are expected to go drop our wastes in it. I do it diligently and make sure I don't dirty the place. A few days ago, the security guard thanks me for doing this. I responded saying that I should thank him for coming to collect this everyday. He then said that I'm the only one who walks up from my door to the lobby to dispose of the waste. Apparently the other houses just leave the bins outside their doors and expect him to collect it and empty it. He was very sad about it and continued to add that he doesn't mind doing it for senior citizens, but why do the young folk expect him to do that? The very fact that he comes floor to floor to collect the waste is a big deal for me. Why can't people see that? One man actually had the audacity to tell him to collect the waste quickly and leave as it was stinking. It is waste, what else do you expect? That is when I realized that it is not difficult to be kind and how important it was to be kind. Small things that you do make such a big difference in the lives of others. From that day on, I do not think twice about smiling at a neighbor (yeah, even that obnoxious one I mentioned above), buying something from a kid at a signal or responding to a tweet/status/message online. We need more kindness in today's cruel world and everyone should make a start within themselves. Compassion and kindness go hand in hand. Make a start and you will see the difference. Second, with the world. First, within you. Soumya, I knew you would love Wonder for a number of reasons. Because no matter what other people see in you I have always seen the underlying kindness and warmth that you exude. You are a naturally helpful and compassionate person. You don't have to apologise for being blunt although, yes, it can come off as being unkind at times. Not to me, to others. I love each of the incidents you've highlighted and I truly, madly pray that the whole world does one kind thing a day. TO anyone. It's so strange but ever since I chose Kindness as my word of the year I am seeing more and more incidents of kindness online and offline. I am reading more blogs and articles that speak of kindness. Perhaps it is the power of 'The Secret'- Positive affirmations and everything. But I LOVED this post. Keep writing. A heartwarming post, Soumya. You remember my gratitude post of December, I felt similar to what you narrated. Like you I am disarmingly honest but that does not mean that I should excuse unkindness. And of course, watching and reading Wonder was quite something. Sometimes the things and people we dwell over are miniscule in the larger scheme of things. And yes, that smiling more, paying attention to people, giving compliments does not take away honesty and makes both the parties feel good. I am so proud of you for sharing what you shared and for walking this path. Thank you so much, Rachna. Yes, I remember reading that and thinking of how similar we are. I couldn’t agree more! Those stories that you shared were sure touching and go to prove how easy it is to be kind. Beautiful and positive post, Soumya! That's such a wonderful thought! Kindness is much needed in this world of ours. And yes, it does make us feel happy! Loved reading this. It sure is, Reema. Thank you. Soumya, every instance that you narrated in this beautiful post just warmed my heart with so much love. True, kindness is priceless (well, quite literally too). Period. But I really fail to comprehend as to why some people happen to remain agnostic towards the kind of day a person from a slightly "lower" stratum than theirs must be having. Kindness, nowadays, is just getting limited to exchanging pleasantries with people who we know but aren't our best friends. Yet, I have always experienced the feeling of being on top of the world when somebody acknowledges your tiny gesture of being the first to wish a "good morning", say "sorry" for something very little, talking in the "Indian plural sense" & "thank you" for even the 'service' one had to offer. If we cling on to our fat egos, "sorry" is always un-doable. Your conversation with your security guard is so heart touching. I know how it feels when some folks take somebody's favor for granted only because he/she doesn't belong to the 'dignified' class. Well, dignity lies only in our deeds & the words we utter or blurt. Thanks, Soumya. You've just made my day. Comments like these make me feel so nice. Thank you so much for dropping in and saying this Ashvini. This was such a heartwarming read, Soumya.Those instances from your daily life you mentioned - how simple are they, yet so touching. We need only such small acts of kindness to spread smile and joy. More power to you! I wonder why I chose to read this first thing today morning. I love you, Soumya. I have believed there is something more to this roaring lion always and yes, I wasn't wrong. I love your blog posts for a reason. You are now truly beautifully bold and as a reader for a few years and a new friend, I can see the difference. Hugs, Soumya. Goodness always exists and as a matter of fact, its all in the eyes of the viewer. I love you too, Jay! Thank you so much. This is a lovely post Soumya. The book really does make you think, doesn't it? 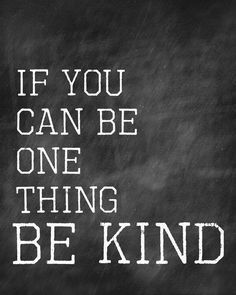 I do think we can be kind and it is a choice. Kindness sadly, is considered as 'weak' in today's society but hopefully, this book and its message will slowly change that perception. I think you can be straightforward and kind at the same time. I am someone who puts my foot in my mouth often and am quite straight up but like you, I'm learning to be kinder. What's harder for me, and continues to be a work in progress, is kindness to myself! The book does wonders to you, truly! I'm learning to be kinder too and I'm realizing that it is making me a calmer person. Oh kindness to self is another battle all together! Being kind does not cost a thing and your experiences prove it. The sad part here is sometimes doing our bit normally becomes an act of kindness because none else does. That's how much the world has changed. Like we had a similar waste segregation issue in our apartment. People who were doing it started talking like it was a huge favour they were doing for the folks who collect garbage from the bins. I was astounded and told them, but this is something very basic that you need to do in a city where waste management is a crisis. It is our duty towards the society that we live in so that we can all live better. Sigh! Anyway such posts reassure that there are still people who choose kindness over anything else and that'a a big inspiration Leo! Yes, like you said, a warm word to the housekeeping guys at office, a good morning at the cafe counter, a smile towards your neighbour, these things don't require much effort. I wish more of us inculcate kindness as an innate nature, as it was originally supposed to be. Thank you so much, Kay! It is nice to have you back here and your words always make me feel warm and fuzzy inside. This was such a warm happy post Soumya. I am glad I scrolled down to it. It made me want to come across and give you a hug. I hope that happens one day. This is what was so brilliant about Wonder - the focus on Kindness. It doesn't take much - a new year wish that cost you nothing made that guy's day. That was so very sweet. And the thing is we are surrounded by kindness only if we take the time to look. Glad I stumbled upon your post! I just wrote a post about my reflections after watching Wonder, and indeed let's Choose Kind in the little ways that we can.